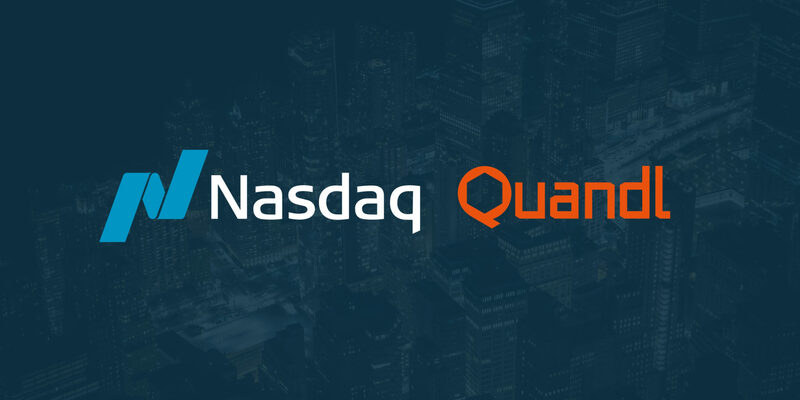 Today we’re launching a brand refresh for Quandl, which you can see on our website. These updates reflect the exciting road we’ve traveled – from our roots as a “financial search engine,” to the platform we are today – the premier source of financial, economic, and alternative data for investment professionals. Quandl’s early platform aggregated a large amount of “data in the wild”, made it searchable and offered users a better consumption experience than was commercially available. The search aspect of Quandl was and still is an important feature of the product, and formed the basis of our original logo and wordmark. Over the last four years, Quandl has achieved many things. We launched an open platform, then a marketplace, raised two rounds of funding, developed a robust API and numerous finance-ready programming packages, and launched support for non-time series data. We are also now, as you know, dedicated to sourcing and delivering the most unique, alpha-generating datasets in the world. Our singular mission is to make sense of the data economy and we are passionate about helping financial professionals make investment decisions through superior data and data consumption. All of this made us realize that we had outgrown our brand and it was time for an update. We are delighted to roll out a refreshed brand identity that reflects Quandl as it is today. Our new identity had to satisfy all of the existing expectations of our original mark, while simultaneously moving the brand forward. Our new logo has been designed with data at its core. This is reflected in its interior hexagonal shape, a six-sided polygon that symbolizes precision, symmetry and harmony – three key properties of good datasets. Putting data at the centre of our brand identifies us as the modern, forward-thinking protagonist in a bold, disruptive story. We are data AND delivery. As part of the redesign, we’ve made some changes to the website. Everything you love about Quandl is still available to you. You will not need to change the way you access and consume data. Nothing about the core Quandl service is changing with this update – we are still dedicated to supporting top-notch APIs and delivering easy-to-use packages in languages like R and Python. We will continue to support you in the manner to which you have become accustomed. The information required to get started using our data is found in the Analysis Tools section (for a deeper dive, visit the Docs & Help link in the top navigation). Data suppliers interested in selling their data through the Quandl platform can select the last menu item. This rebrand marks an exciting time for us. The blog and other Quandl properties will follow with the refreshed brand. Stay tuned for more exciting data announcements and product updates.